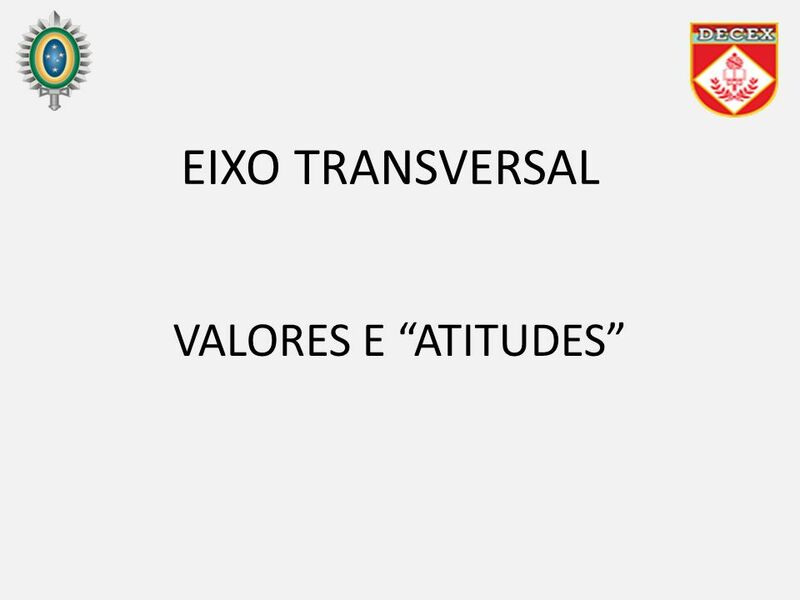 EIXO TRANSVERSAL VALORES E “ATITUDES”. 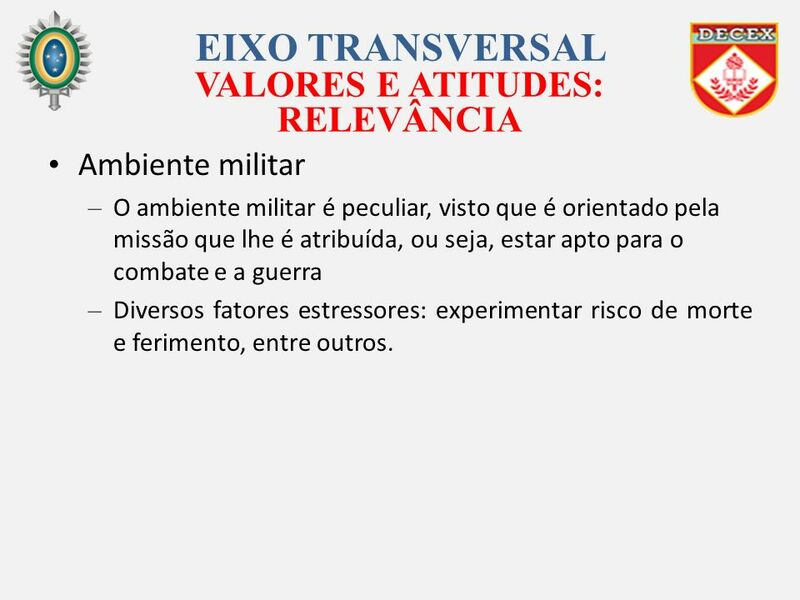 Ambiente militar O ambiente militar é peculiar, visto que é orientado pela missão que lhe é atribuída, ou seja, estar apto para o combate e a guerra Diversos fatores estressores: experimentar risco de morte e ferimento, entre outros. 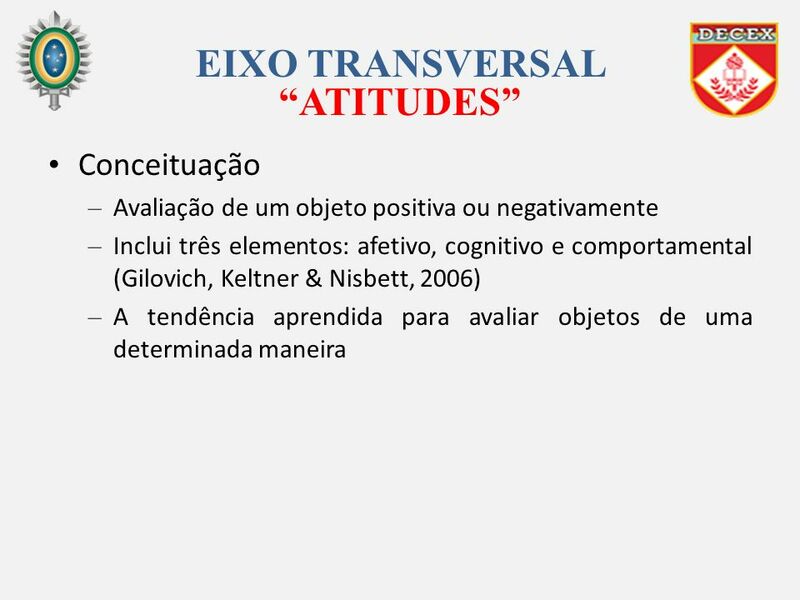 Gilovich, T., Keltner, D. & Nisbett, R. E. (2006). Social psychology. New York: Norton. Katz, D., & Kahn, R. L. (1978). 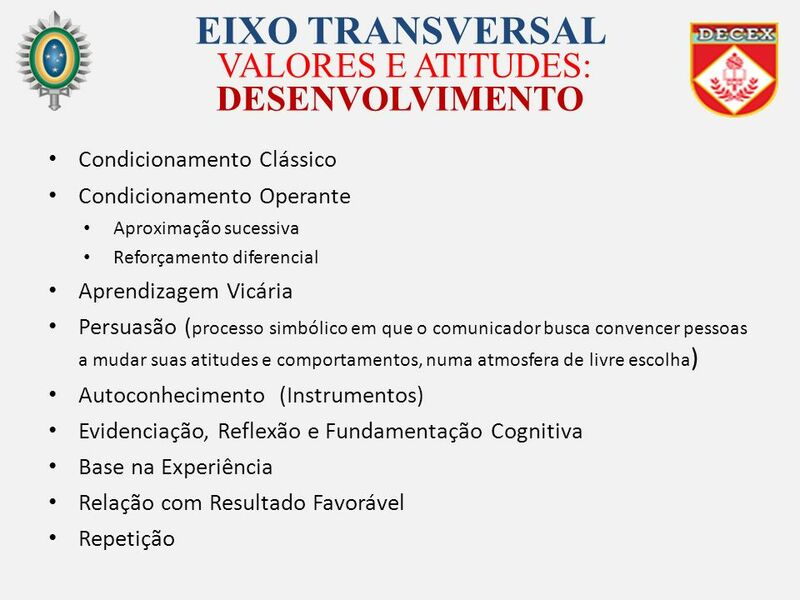 Psicologia social das organizações. São Paulo: Atlas. 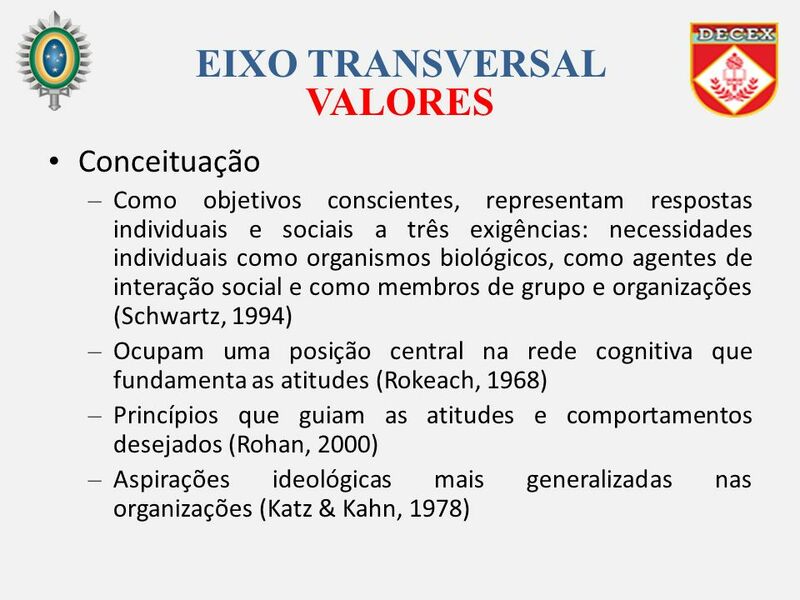 Maio, G. R.; Olson, J. M. (1995). 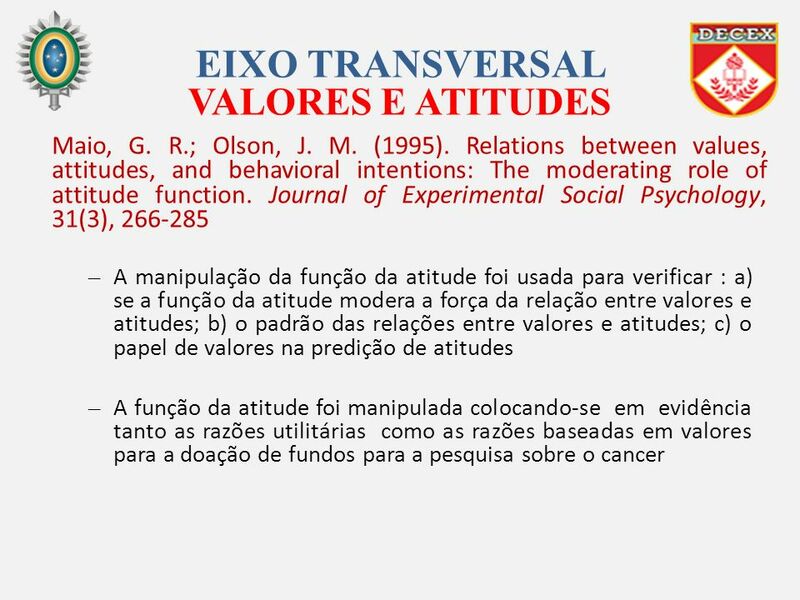 Relations between values, attitudes, and behavioral intentions: The moderating role of attitude function. 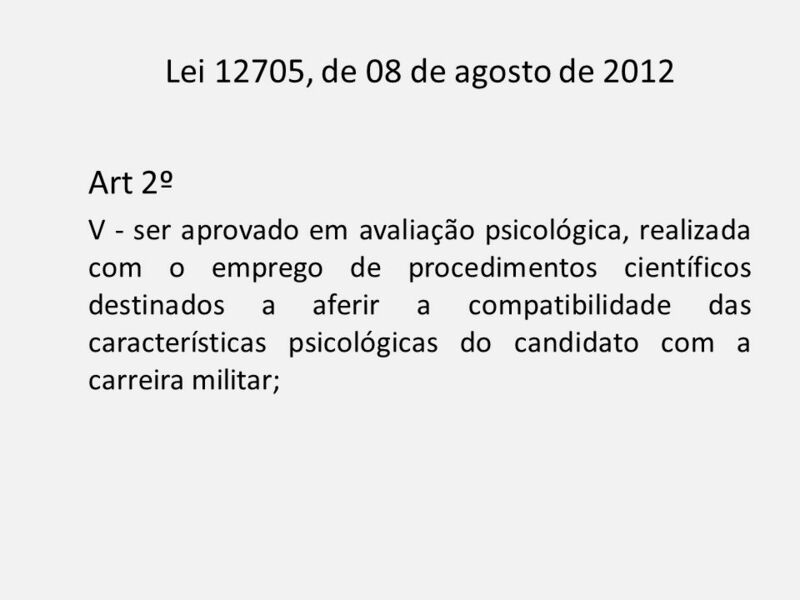 Journal of Experimental Social Psychology, 31(3), Maio, G. R. & Olson, J. M. (1998). 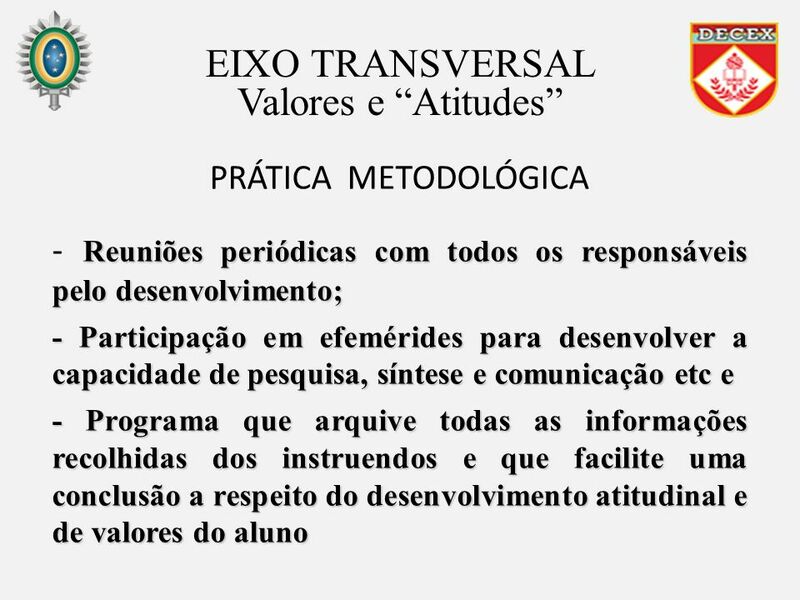 Values as truisms: Evidence and implications. 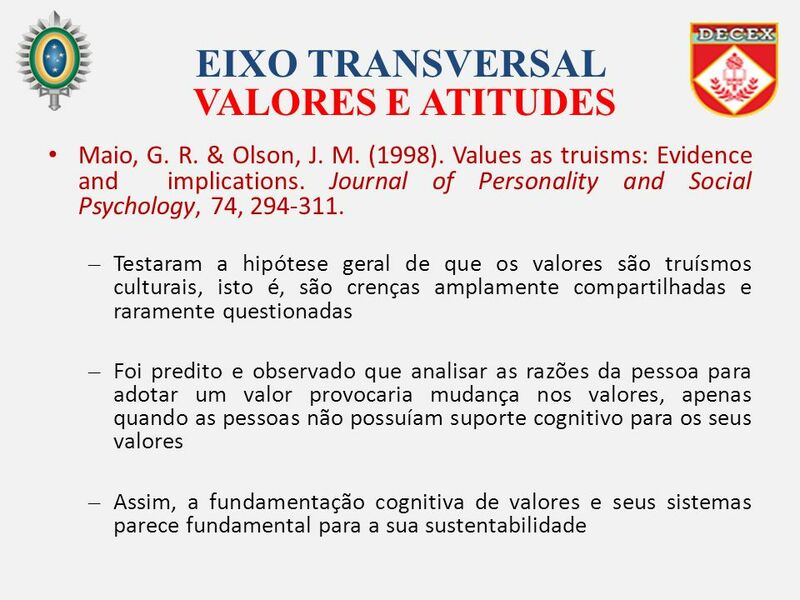 Journal of Personality and Social Psychology, 74, Rohan, M. J. (2000). A rose by any name? The values construct. Personality and Social Psychology Review, 4, Rokeach, M. (1968). 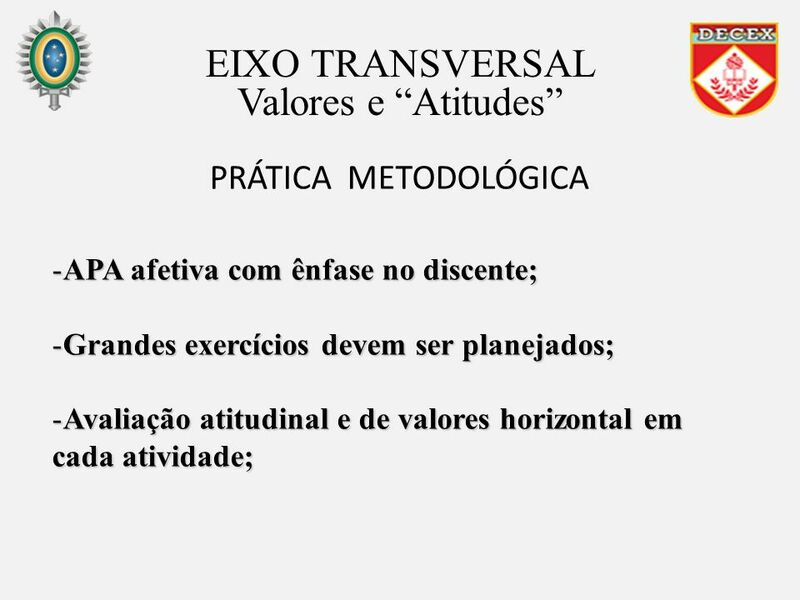 Beliefs, attitudes and values: A theory of organization and change. San Francisco: Jossey-Bass. Rokeach, M. (1973). 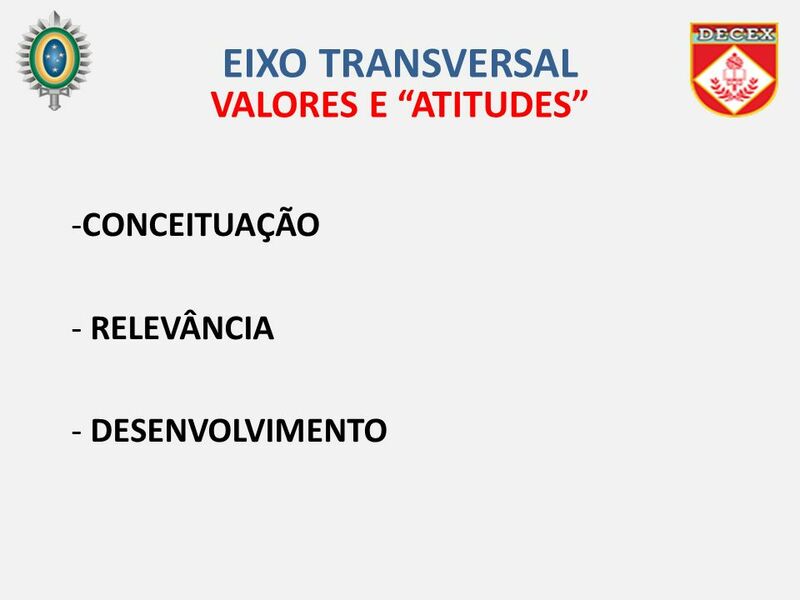 The nature of human values. New York, Free Press. Rokeach, M. (1979) Introduction. 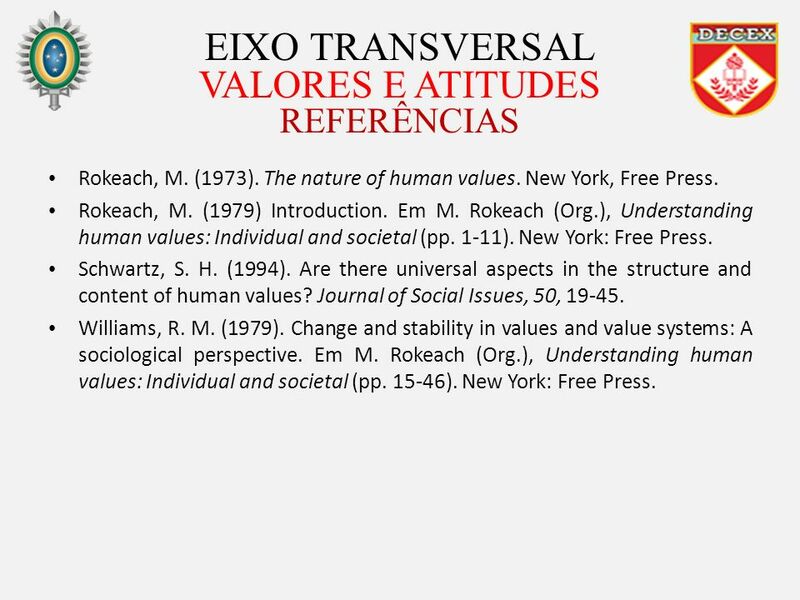 Em M. Rokeach (Org. 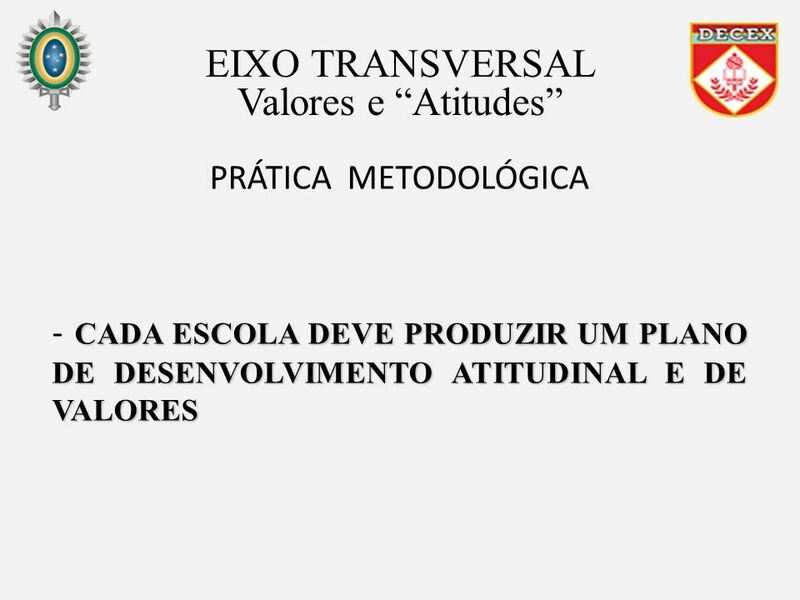 ), Understanding human values: Individual and societal (pp. 1-11). New York: Free Press. Schwartz, S. H. (1994). 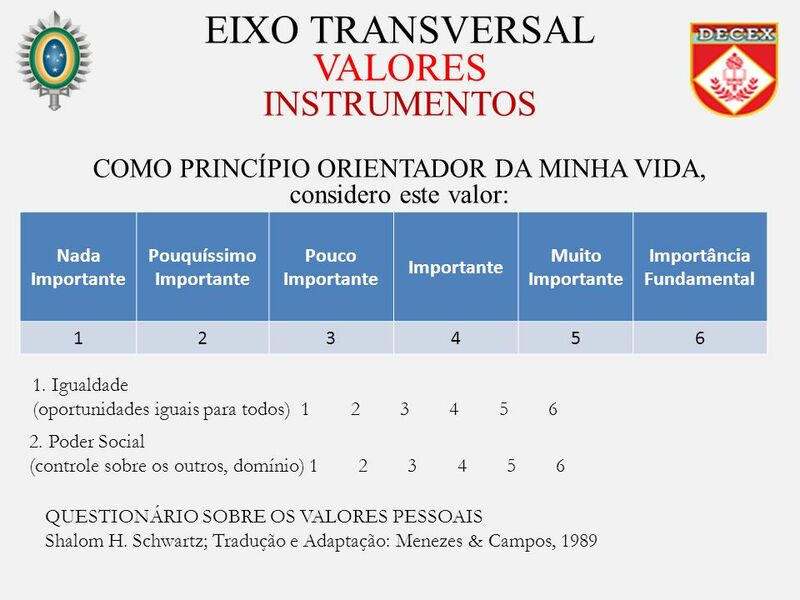 Are there universal aspects in the structure and content of human values? Journal of Social Issues, 50, Williams, R. M. (1979). 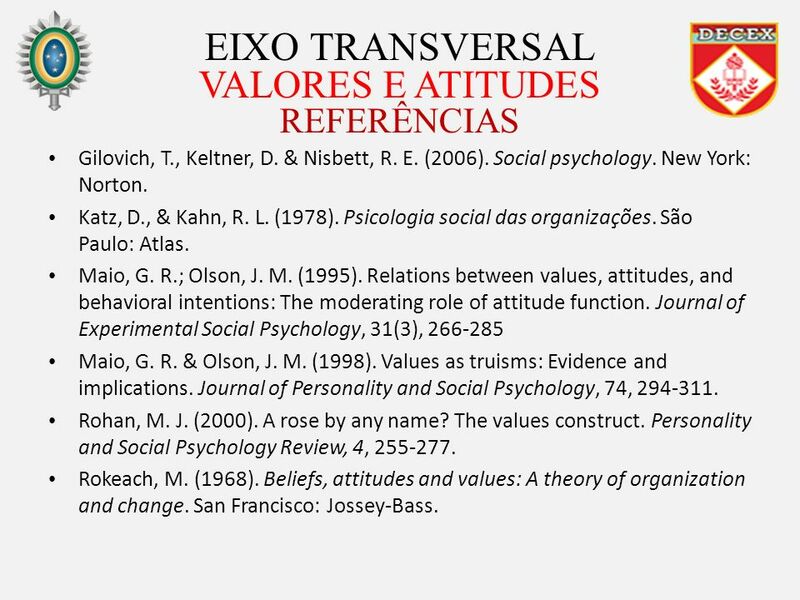 Change and stability in values and value systems: A sociological perspective. 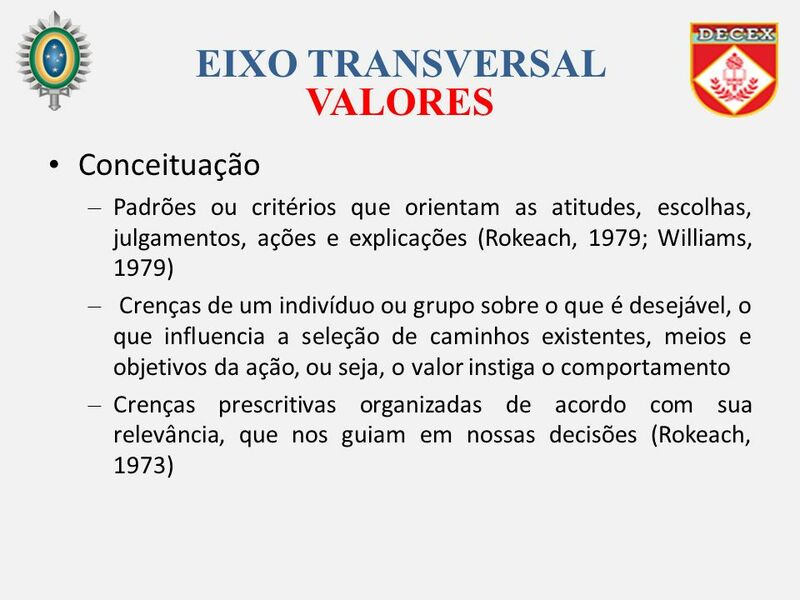 Em M. Rokeach (Org. 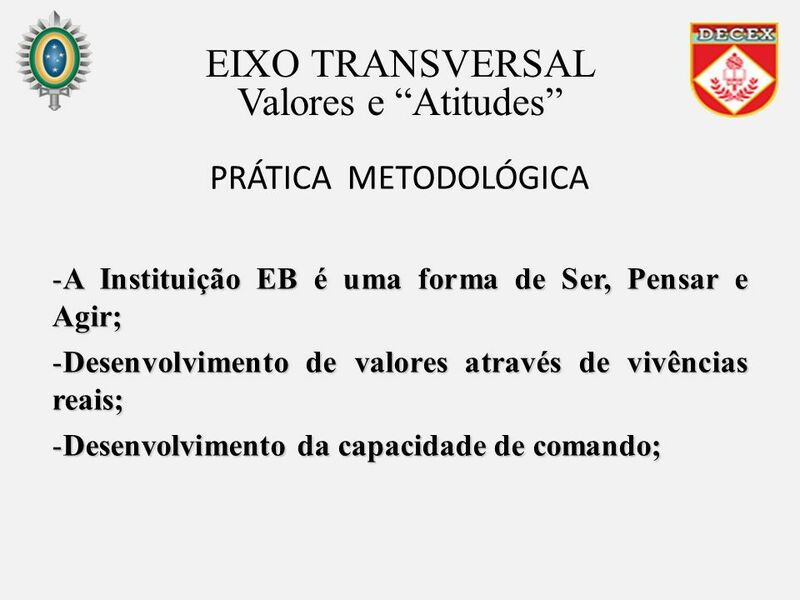 ), Understanding human values: Individual and societal (pp ). New York: Free Press. 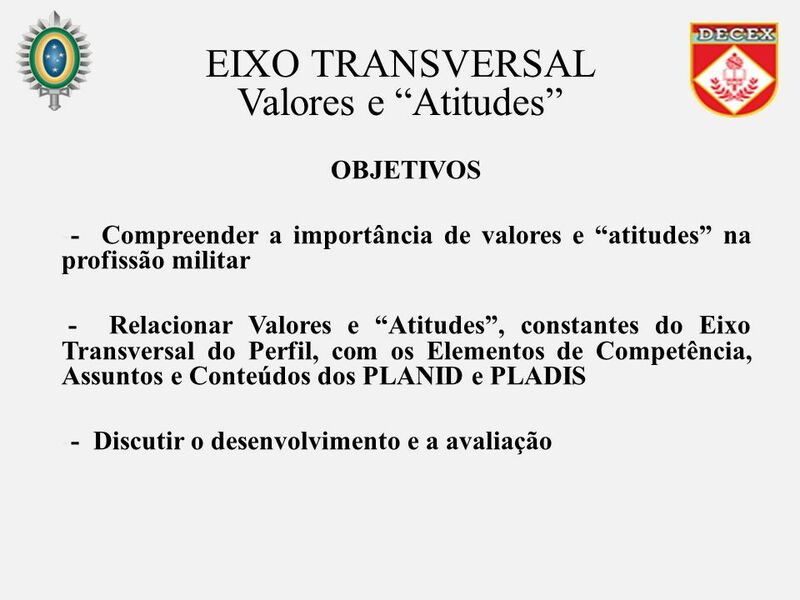 AVALIAÇÃO É POSSÍVEL E PARA QUE? 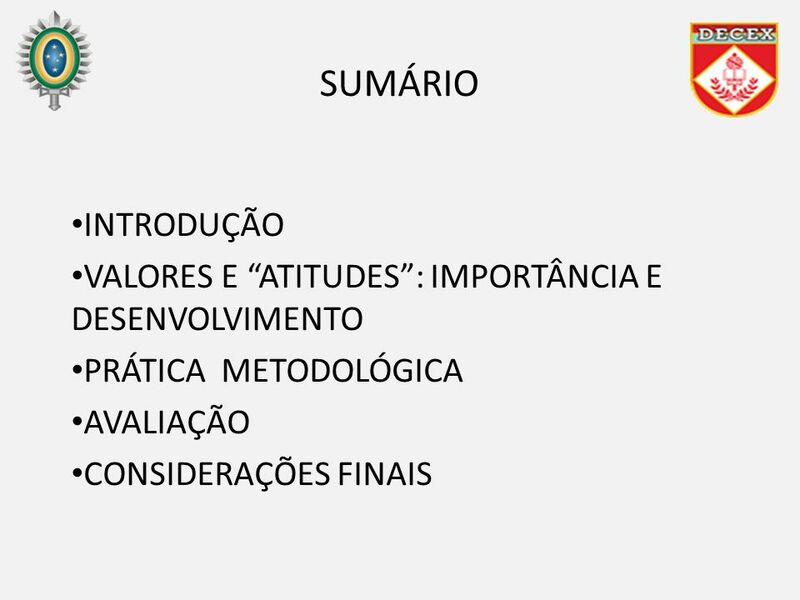 MÉDIA FINAL? 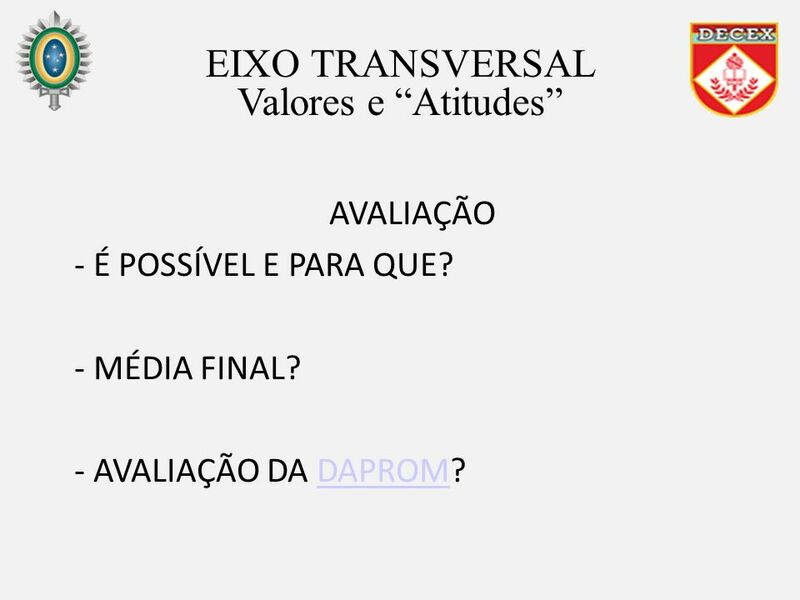 AVALIAÇÃO DA DAPROM? 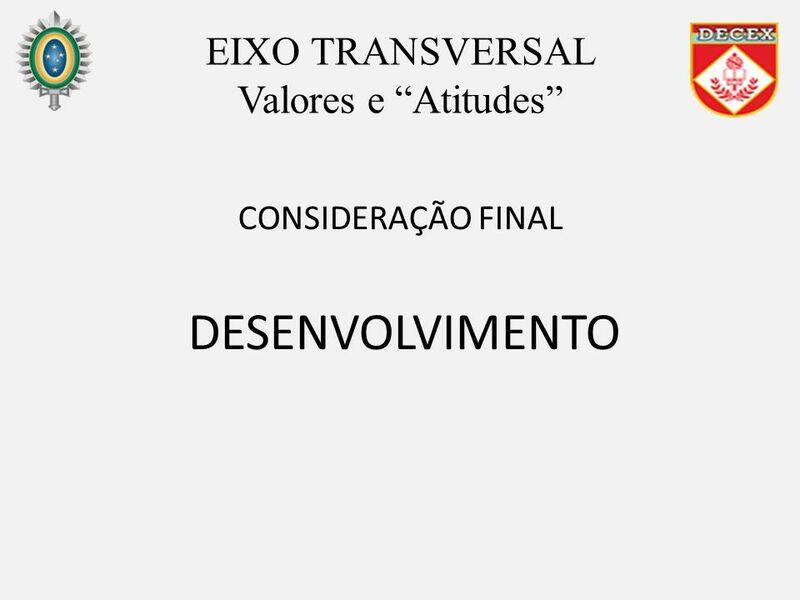 Carregar ppt "EIXO TRANSVERSAL VALORES E “ATITUDES”." 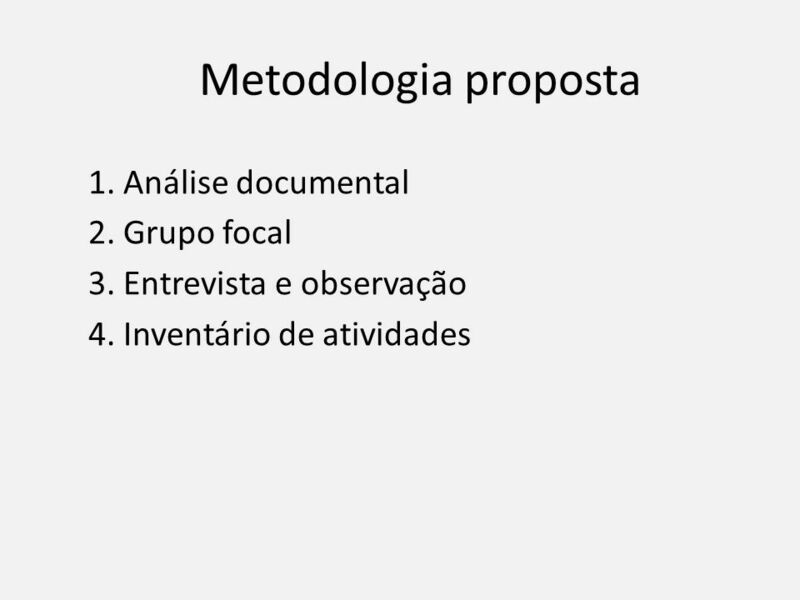 PRODUÇÃO DE ATIVIDADE Sucesso para o ensino-aprendizagem. 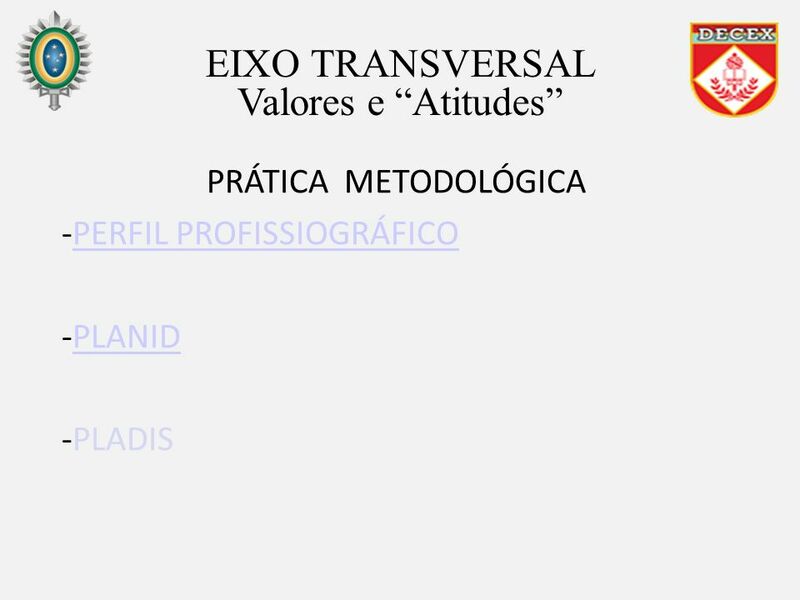 Gestão de Negócios Aula 9 Haroldo Andrade.